Why: Hamrlik had a fine NHL career, playing in more games than anyone else picked in 1992, but Gonchar had better numbers. He led all 1992 draftees with 591 assists and 811 points. He played 94 less games than Hamrlik, but scored 173 more points. Gonchar also appeared in four All-Star Games, and was named to the Second All-Star Team twice. 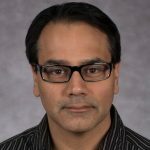 Why: Yashin was the most naturally-gifted goal scorer from the 1992 Draft, but he disputed his contract three times in five seasons with Ottawa, then sat out at the start of a season before being suspended a year by the Senators. And then there were his lackluster seasons with the Islanders. Would you want to put up with all that? Peca won the Selke Trophy as the league’s best defensive forward two times. He was also captain of two different teams during his career. That combination of leadership and defensive play would have helped the Senators tremendously during their trying, early years. Granted, Peca wouldn’t have helped them in this manner right away, but would have nicely grown into these roles. Why: Rathje was a respectable NHL player, but isn’t even in the top five for games played when it comes to defensemen drafted in 1992. Stillman scored a very respectable 278 goals (2nd among 1992 draft picks), and 449 assists (4th) for 727 points (3rd) in 1,025 games played (6th). Why: Yes, Yashin was not the greatest team player, but he was still the most naturally-gifted scorer in the 1992 Draft class. Had he not been so problematic, he easily could have scored over 400 goals and over 1,000 points in what would have been a Hall of Fame career. That said, maybe his biggest problem was that he played with terrible teams: the Ottawa Senators and the New York Islanders. The Nordiques, on the other hand, were a team on the rise, with plenty of talented players like Joe Sakic, Peter Forsberg, Owen Nolan and Mike Ricci. Given Quebec’s abundance of centers, Yashin might have been moved to wing, where he would not have to be as defensively responsible (he was -83 in his NHL career). And if the Nordiques still moved to Colorado and won the Stanley Cup in 1995-96, chances are Yashin might have behaved himself better. Why: Hamrlik had a great NHL career, appearing in more NHL games (1,395) than any other player from the 1992 Draft. He played in three All-Star Games and has the 6th-most points of any player from his draft year; 2nd-most among defensemen, right after Gonchar. Why: With Stillman moving up three spots in this mock draft, the Flames would have to pick someone else, and Lehtinen is the best defensive player from the 1992 Draft. He won the Selke three times as the NHL’s best defensive forward and had the best plus-minus of his 1992 peers with a +176. Lehtinen also spent his entire career with one team, which shows how valuable of a player was. Why: The Flyers could have taken Taro Tsujimoto instead of Son-of-Sittler, and it wouldn’t have mattered, as neither played in any NHL games. Khabibulin, on the other hand, was the best goalie from the 1992 Draft. He appeared in 799 games (1st among 1992 goalies) and won 333 games (also 1st). His 333 career wins puts him 23rd all-time among NHL goaltenders. Not Hall of Fame numbers, but 300 wins is still a milestone for goalies. 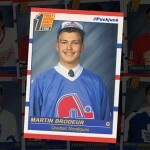 Next, the Maple Leafs would do something unorthodox and pick a player who wasn’t even drafted in 1992. Why: Now, I know what you are thinking: Brian Rafalski wasn’t drafted in 1992. True. 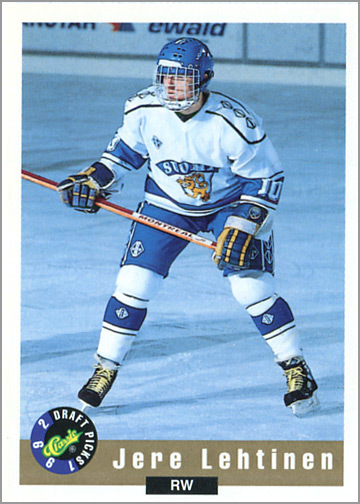 In fact, he wasn’t drafted at all — he was signed as a free agent at the age of 26 in 1999, after four seasons of college hockey and another four seasons playing in Europe. Talk about being a late bloomer. Yet, Rafalski, who played in 833 games in 11 NHL seasons, scored 515 points. That would put him at 5th in points among 1992 draftees, and 3rd among d-men. Rafalski was a part of three Cup-winning teams, and was inducted into the U.S. Hockey Hall of Fame in 2014. Imagine what his career could have been like if he was drafted in 1992, played four years of college, and then had a chance to break into the NHL. Why: Straka was 3rd in goals (257), 3rd in assists (460), 4th in points (717) and 9th in games played (954) among players drafted in 1992. He wouldn’t have made up for the Whalers’ loss of Ron Francis a few seasons earlier, but he could have become a solid number-one center the team desperately needed. 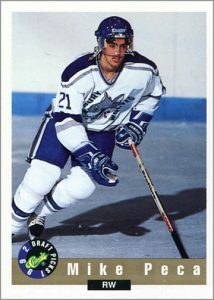 Why: Taking a page from the Leafs playbook, if NHL GMs knew then what we know now, they too probably would have looked outside of the 1992 draft pool and selected Jason Blake, who like Rafalski was draft-eligible in 1992 but wasn’t signed by an NHL team until 1999. Blake’s 486 career points would be 5th-best among the 1992 draft class, or 6th-best if the Leafs selected Rafalski. What would those numbers been like had Blake been drafted and gotten his shot sooner? At this point, GMs would probably turn their focus onto drafting tough-but-talented players, instead of average players who just happened to finish 6th or 8th or whatever in scoring among their 1992 peers. Why: Barnaby was actually selected by the Sabres during the fourth round of the 1992 Draft, but was better than the four players — Cooper, Jozef Cierny, Ondrej Steiner and Dean Melanson — that the Sabres picked ahead of him. Barnaby led all 1992 draftees with 2,562 penalty minutes. 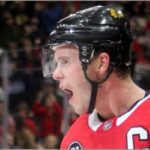 According to HockeyFights.com, he also got into 192 regular-season fights in his career. Barnaby was an agitator who had enough skills to contribute offensively; he had 300 points (113 G, 187 A) in 834 games. A player with that combination of skills was perhaps more desirable during the 1990s and early 2000s than a run-of-the mill forward. Why: As a kid, I disliked Krivokrasov. 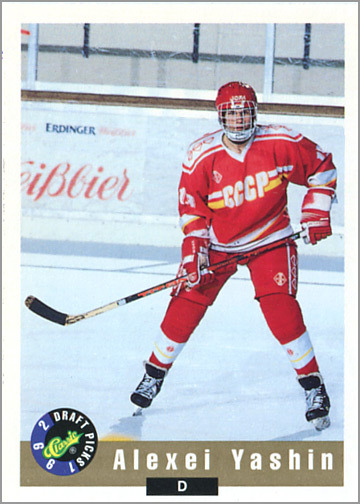 I think the reason was because his first name was “Sergei” so I expected him to be the next Sergei Fedorov, but clearly he wasn’t even close. Nor was he worthy of spending a first round pick on. With the Blackhawks playing in the rough-and-tumble Norris Division, a player like McCarty would fit right in. McCarty was second in PIMs to Barnaby among 1992 draftees, and racked up 131 fights during the regular season according to HockeyFights.com. He also had a bit of a scoring touch, with 288 points in 758 games. Why: Like Rafalski and Blake, Brasher was eligible for the 1992 NHL Entry Draft, but was not drafted. The Canadiens signed him as a free agent in July of 1992, and he went on to become one of the most feared tough guys in the NHL. Brashear led the league in penalty minutes for six seasons, and racked up 2,634 PIMs in 1,025 games. 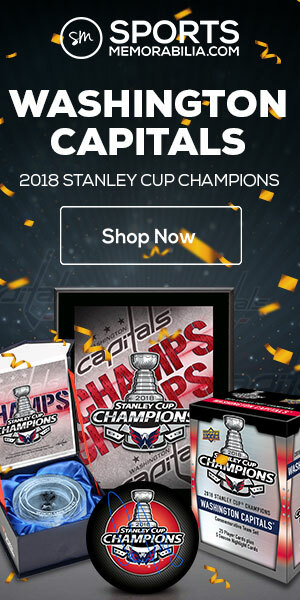 HockeyFights.com lists Brasher as having 212 fights during the regular season. As far as fighters go, Brasher was one of the best in the era. With all of the quality scorers, defensemen, goalies, tough guys and draft-eligible undrafted gems now off the board, the rest of the draft picks would pretty much fall in line with their career statistics during the latter half of the first round of this fantasy re-draft. 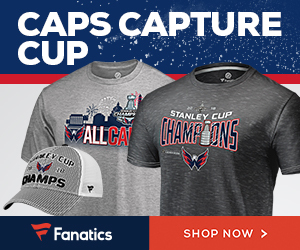 Why: With Gonchar going first overall in this fantasy re-draft, the Capitals would pick Aucion, who had a solid 16-year NHL career. He was 10th in points (399) among his 1992 peers and 3rd in regular season games played with 1,108. Why: Carter was 6th overall in goals (202) and 8th overall in points (414) among the 1992 draft class. 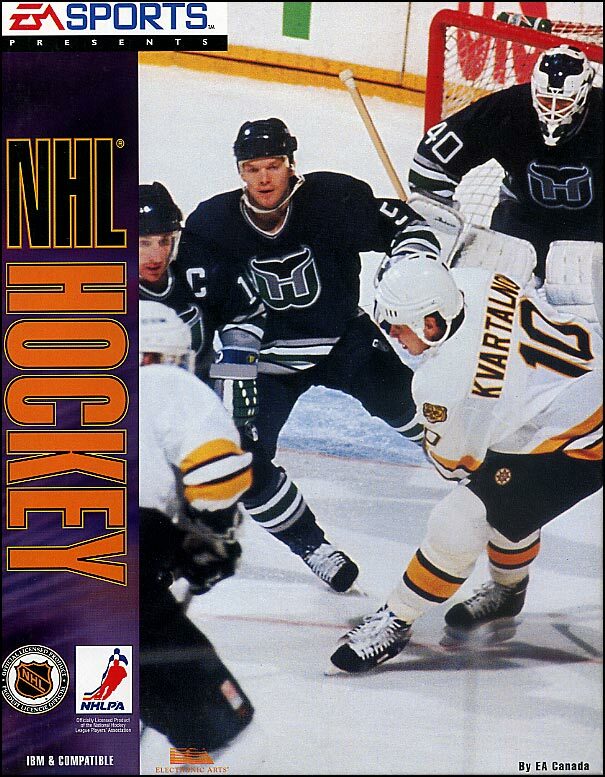 Why: Dmitri Kvartalnov’s claim to fame was being on the box cover of “NHL ’94 for PC computers (known simply as “NHL Hockey”). 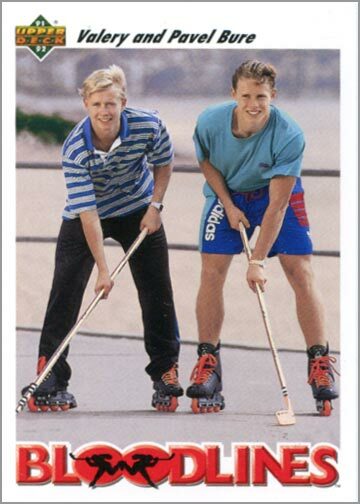 Valeri Bure’s claim to fame was being Pavel Bure’s younger brother — and being on this awesome hockey card. 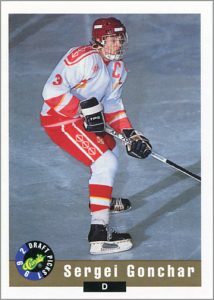 Still, the younger Bure was 8th in goals (174) and 9th in points (400) among his draft class. 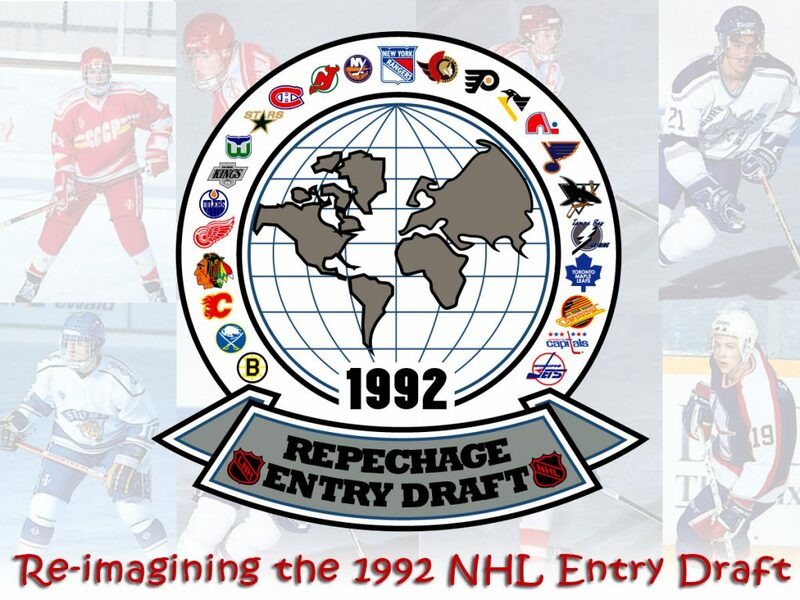 Why: Laperriere was 4th overall in games played (1,083) among 1992 draft picks. He also dropped the gloves 202 times during the regular season, as per HockeyFights.com. Again, with fighting being a bigger part of hockey in the 1990s, having a willing combatant who also was talented enough to play in over 1,000 games is worth using a late first-round pick on. Why: Maltby, who was a checking forward, is 5th in games played (1,072) among his 1992 peers. New Jersey turned defensive hockey into a Cup-winning strategy. If Maltby was drafted by the Devils, chances are he’d thrive in New Jesey, like he did in Detroit for 14 seasons. Why: With Straka off the table, the Penguins would have to pick someone else, so why not pick a big, physical defenseman like Kasparaitis– which sounds like a rare, but treatable, skin condition. Both the Flyers and the Rangers made trades with the Quebec Nordiques for Eric Lindros at the Entry Draft, with the Flyers winning the arbitration case 11 days later. That said, if I was the Penguins’ GM, and Lindros was going to be either a Flyer or a Ranger, I’d want to draft a tough defenseman like Kasparaitis to keep Lindros in check, literally. Kasparaitis — coincidentally, as a member of the Penguins later in his career — hit Lindros hard enough to knock him out of the lineup for 18 games. I’d have that guy on the team just to be Lindros Repellent. 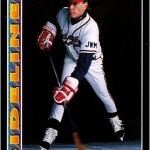 Why: Brylin was 10th among 1992 draft picks in goals scored (129), but was really known for his defensive style of play. He was versatile, able to play all three forward positions. Why: Smith was 4th in games played among 1992 draftees with 1,008 games played. He was also an NHL team captain twice in his career. A player with that kind of leadership and longevity is worth the 21st overall pick, especially considering the pool of available players left at this point. Why: Perhaps not the most exciting pick, but Svehla is the most statistically sound player available. He was 13th overall in points (335), 9th overall in assists (267) and 4th overall in points among defenseman (335) among his peers drafted in 1992; 5th if you count Rafalski being drafted in this alternate reality. His points-per-game average of 0.511 is pretty good for a defenseman selected late in the first round. 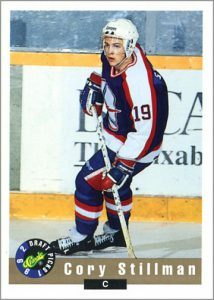 Why: Grant Marshall actually played a long time in the NHL. In 700 games, he scored 239 points, so he isn’t a first round bust by any means. But Mironov played 716 NHL games and scored 307 points, and he was a defenseman, whereas Marshall was a forward. Heck, Mironov played five seasons with the Blackahwks during their absolute worst years, so if he had played elsewhere, his stats would be even better. As it stands, Mironov’s is ranked 10th in assists (231) among all 1992 players picked and 5th in points (307) among all 1992 d-men — or I guess 11th and 6th, respectively, if we’re counting Rafalski. Why: Although there are two players with more games played (Stephane Yelle and Craig Rivet) and five defensemen with more points among the remaining 1992 draftees, Mattias Norstrom is who the Rangers should have taken with the last pick of the first round. Coincidentally, the Rangers actually drafted Norstrom in the second round (48th overall) of the 1992 NHL Entry Draft. Norstrom was a stay-at-home defenseman, and while he did not catch on with the Rangers, he was captain of the Kings for six years and spent 11 full seasons in the NHL. In my 1990 and 1991 fantasy re-drafts, roughly 50% of the players that were picked in the first round were still considered first-rounders 25 years later. But in 1992, that dropped to 29%; just seven out of 24 players picked in the first round 25 years ago would still be considered first-round picks today. And of the 264 players drafted, only 64 of them played in 100 or more NHL games. So the 24 mentioned above, while not the most exciting, still were an accomplished group worthy of a first-round pick. You couldn’t find an Islander fan who would have taken anyone other than Kasparaitis in the 1992 draft. I bet Isles fans were PISSED when Darius was traded to the Penguins in 1996. Maybe so, but us Pens fans were overjoyed! No longer would he be a menace to Mario and Jags during those battle royale matches that were the Pens vs. Isles in the 90’s. That trade totally made up for the Stojanov/Naslund trade because I loved watching Kasper in black and gold! This is a tough one! Really no generational talents in this lot. I want to believe that had Yashin not gone to the island and signed that crazy deal he might have actually been more productive and even in the right environment a better teammate. But then again there’s the old adage about leopards etc. and perhaps he was just destined to fizzle and disappear no matter where he went. So to answer the question, probably Gonchar like you suggested as it seemed that Tampa wanted a defenseman and he was the best offensive defenseman in the draft class. Best pure talent player was Yashin. Nope. Teppo was drafted in 1986. Teemu Numminen was drafted by the Jets in 1992, but never played in the NHL.